So a while back my sister bought me a trading spaces doll house (because she knows I used to love Trading Spaces) like the one in here BUT it was only a one story (sorry it won't load ~ I wll take a picture of mine)... For some reason this looked like so much fun to me. It was pretty easy and I had a great time... Jim and I were like little kids. Now I want so cute (yet sturdy) furniture so the kids will have something to play with at my house! 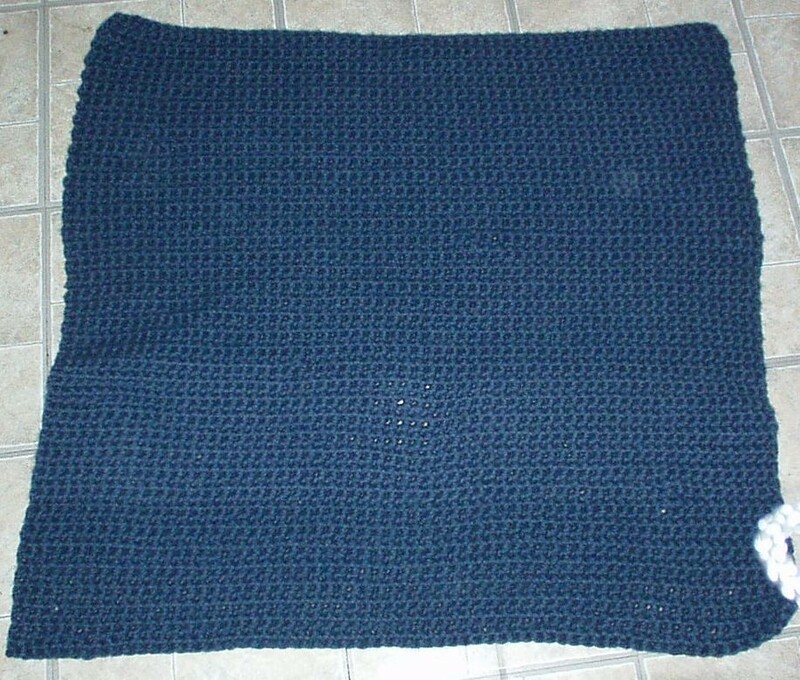 But since the doctors said it is okay that she has the baby anytime now... (still a couple months early) and my blanket is done let the baby come! Aww come on I want to cuddle the baby! Speaking of hearts yesterday was Valentine's day. It was a great day. Jim had to work late on Monday and I had a great opportunity to make him his surprise gift. I made home made Maple-nut party mix... You would have thought I gave the man a million dollars... All that commotioin and the recipe was pretty easy (okay I will grant you it is a bit time consuming but it was easy. And I will admit to YUM! I spend 8 hours a day working, 8 hours each night sleeping (Hey what can I say my body needs rest), and 8 hours a day doing whatever I wish. FURTHERMORE I figure that 1/3 of my life is gone (a fact that freaked me out like crazy) SO I have 1/3 of each day to decide what to do with. AND I should decide to do things that I enjoy and not do the things that I hate (unless they help someone else) So here are the things that I have decided I will do... I will continue to have crafts that make sense to noone but me. I will go places (near or far) that make me happy, I will surround myself with people I love and allow those I don't to go their way and surround themselves ith people who love and cherish them. It feels like I just barely got up and now it is time to leave work. Today I got and worked out (The Denise Austin workout) then while I was watching Crafters coast to coast I (for the first 15 minutes) used the stairmaster and for the 2nd 15 minutes I crocheted some more of Jim's scarf... At this rate it will be August before he gets it. I am very excited. I learned how to do some origami... I am making paper cranes. 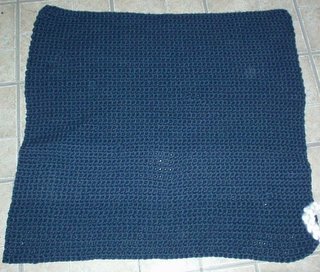 I have been making this afghan for Tyler (my nephew who is due in a few months) and I have been thinking about him and how much I love him the whole time I have been crocheting it. I wanted to be sure that it was packed full of love and warmth. But even though I have never met him I already love him BIG. and that BIG part went into the blanket... So I have used up a few skeins of yarn and I go to my sister's house to show her this beautiful piece of love I have made. She looks at it and asks me who it is for. I told her it was for little baby Ty. She asks me where I got the pattern. Pattern ~ What pattern... I mean come on now I only know one stitch and I am fairly certain that they don't have a single crochet pattern available. Well she points out to me that it is rather large (what do I know what size baby afghans are supposed to be.) and takes it over to Alicia's twin bed to try it on there... Nope too big hit the ground on both sides. SO low a behold I am pulling it apart and starting again. The good side of this (and there are many) I won't need to use nearly as much of the $10 a skein yarn AND it won't even take me as long to make... I am after all hoping to have it done by Sunday (the super secret shower day) Wish me luck!